The good news: For those who are worried that the nation is more divided than ever, there's finally one contentious issue that a majority of Americans agree upon. 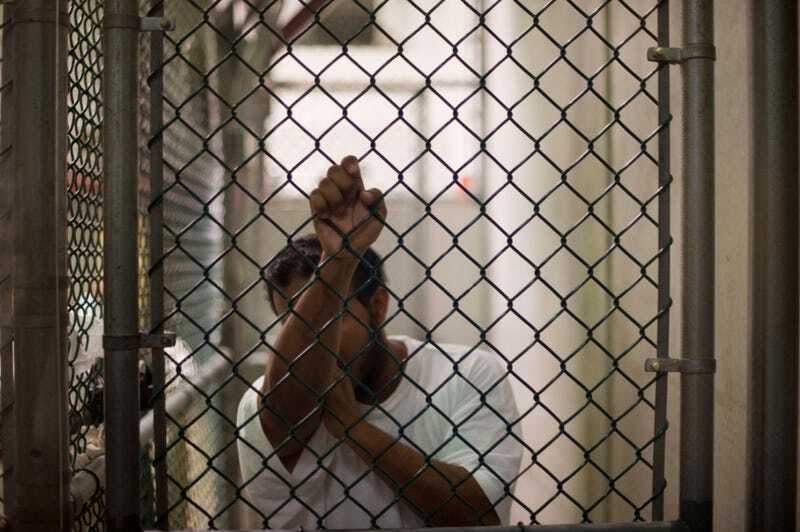 The bad news: Most people are okay with the CIA torturing suspected terrorists. According to a new poll conducted by the Washington Post and ABC News, 58% said the torture of suspected terrorists could be justified "often" and "sometimes." But what's most striking about the survey is that there's a consensus among demographic groups who typically have dramatically divergent views on social and political issues. Those ideological poles at opposite ends of public opinion aren't that surprising. But the distribution of demographic groups between them is. A majority of nearly every group — blacks, whites, women, young adults, the elderly, Midwesterners, suburbanites, Catholics, moderates, the wealthy — said that torture of suspected terrorists can be often or sometimes justified. For instance, traditionally "blue" states in the Northeast and "red" states in the South had identical responses: 43% saying torture was "sometimes" justified, 19% saying "often" justified—a total of 62% in each demographic. Among those with a high school education or less, a college degree and a post-graduate education, the total responses, respectively, were 59%, 48% and 57%. Even moderate/conservative Democrats scored high, at 51%,—though not as high as Republicans, at 71%. The largest outliers were Liberal Democrats and those identifying themselves as unaffiliated with a religious group, at 38% and 40% respectively. But, this newest survey comes on the heels of extensive, graphic descriptions of torture revealed by the Senate Intelligence Committee report. Can people no longer claim to be unaware of what "torture" entails? On a similar note, do the vague terms "often" and "sometimes" justified reflect how frequently torture is committed, or—in the minds of those being surveyed—do those terms reflect views toward the types of methods that should be used? The results of Washington Post-ABC News Poll are compelling, but we'll need to see additional surveys with more nuanced questions to get closer to a complete picture.